What do you get when you combine Jonathan Adler, animals and a fun entertaining piece?...you get these adorable place card holders from the King of Happy Chic. A good friend of mine sent a link to these cuties last night (knowing my love for all things Jonathan Adler and any excuse for fun entertaining place card holders). I am in love and can't wait to find an excuse to use these for a dinner party! In honor of these oh-so-adorable place card holders, I thought I would share some of my other favorite fun place card holders that don't take themselves too seriously. Enjoy! 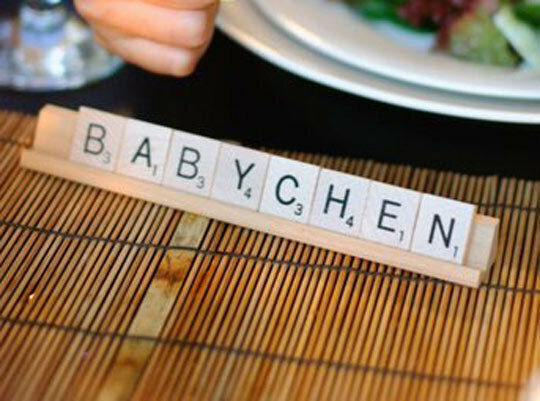 I love this idea from Apartment Therapy to keep it fun and cheap by using scrabble tiles as place cards. 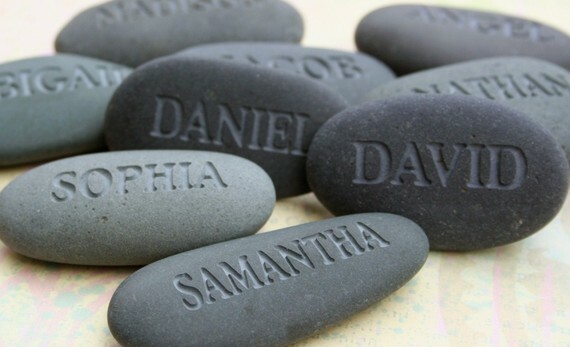 You can go with a natural and organic theme by having these unique name rocks made by this Etsy store. I'm picturing this with a beautiful apothecary terrarium centerpiece. 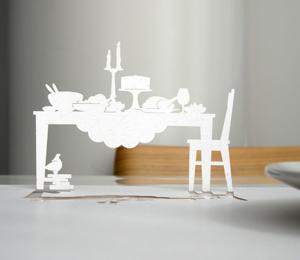 And how creative are these pop-up placemats from PubliQue Living that you can also use at place cards. They have a ton of different options and they are really well-priced. Use a bright-colored tablecloth and these guys will just jump off your table. Talk about a fun way to kick-off a dinner party!